In mid-2017, the Government of Canada challenged Canadian businesses to collaborate with post-secondary and research institutions to propose what it described as bold and ambitious strategies that would transform regional economies and create jobs. Led by Navdeep Bains, federal minister of innovation, science and economic development, the goal of this collaboration is to create superclusters of industrial innovation. In March 2018, Bains announced five winning applications, from more than 100, to be a part of the Innovation Superclusters Initiative, into which the government is investing up to $950 million. The investment, which is to be matched dollar for dollar by the private sector, is expected to create more than 50,000 jobs and grow Canada’s economy by $50 billion over the next 10 years. The five Superclusters include: Ocean Supercluster, based in Atlantic Canada, focusing on industries like fisheries, oil and gas, and clean energy; SCALE.AI Supercluster based in Quebec, focusing on intelligent supply chains, artificial intelligence and robotics; Advanced Manufacturing Supercluster based in Ontario, focusing on connecting technology to manufacturing; Protein Industries Supercluster based in the Prairies, focusing on plant proteins and worldwide food shortages; and the Digital Technology Supercluster based in British Columbia, focusing on Big Data and digital technologies in key sectors like healthcare, forestry and manufacturing. At least three of the Superclusters present opportunities for fixed- and rotary-wing companies; to leverage findings from what must be considered one of Canada’s most-ambitious plans to spread innovation across its economy – to remain competitive within an increasingly complex business world. There are already several aviation and aerospace companies involved in the early stages of the SCALE.AI, Advanced Manufacturing and Digital Technology Superclusters. The Superclusters already represent more than 450 businesses, 60 post-secondary institutions and 180 other participants in sectors covering what the government describes as 78 per cent of Canada’s economy. 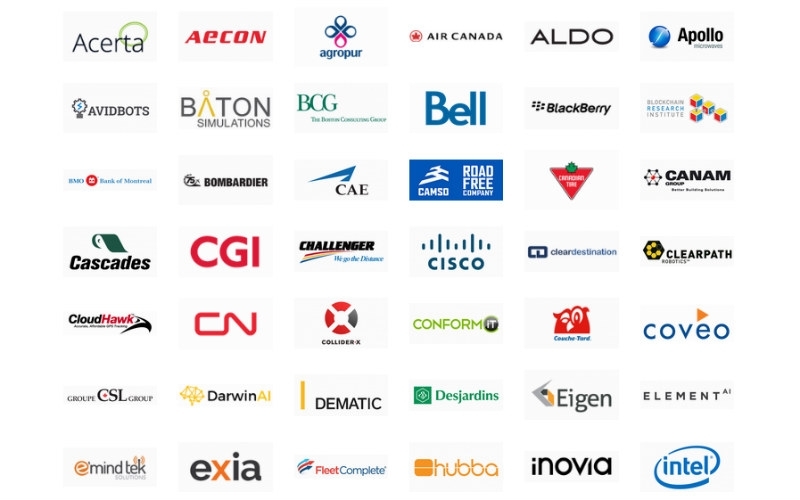 The Digital Technology Supercluster includes aerospace enterprises like Avcorp, which provides supply chain tools to aircraft manufacturers and supports airline operators with component repair services. This group also includes software developer Aeroinfo and the Vancouver digital aviation labs division of Boeing, which focuses on applied analytics for airlines, company’s needing fleet maintenance, and Boeing’s Defense, Space & Security business. Any company incorporated in Canada, regardless of origin or headquarter location, is eligible for the initiative. The government wants its Superclusters to attract investment from the world’s best companies, regardless of location. The BC Supercluster also includes the likes of MDA, CAE and YVR, as well as Hatch, which has been involved in key Vancouver airport infrastructure projects like the South Airfield Runway End Safety Areas. To date, 118 companies, academic institutions, professional associations, government partners, banks, incubators, venture capital firms and consultants have joined forces to support the SCALE.AI Supercluster in Quebec. Together, they have committed $700 million toward developing intelligent supply chains for sectors like automotive, aerospace, mining, utilities, and oil and gas. Based in the province with Canada’s primary aerospace hub, SCALE.AI may prove to be the most impactful aero-cluster, which will leverage disruptive technologies like blockchain (see Jennifer Rideout’s column, page 30) and 3D printing. The SCALE.AI initiative includes aerospace and aviation powers like Air Canada, Bombardier, CAE and Thales. The focus of the Advanced Manufacturing Supercluster will include the Internet of Things, machine learning, cybersecurity, and additive manufacturing (3D printing), the latter of which is becoming an increasing vital part of manufacturing and supply chains in aviation. This Ontario-Supercluster is now a coalition of more than 140 partners, led by a newly incorporated entity called Next Generation Manufacturing Canada (NGM Canada).